It is a traditional sweet, usually prepared during festivals. In a pan, mix khoya, coconut and 3 tbsp. sugar. Cook till well blended. Add the nuts, raisins, cardamom and nutmeg powder. Keep aside. Knead a stiff dough with flour, water and 3-4 tbsps. of ghee. Make a syrup of the remaining sugar and water to one thread consistency. Add a pinch of saffron to it and keep aside. Make equal portions of the dough and khoya mix. Roll out the dough. Put in khoya and fold over in a rectangular shape, fixing it with a clove. Heat ghee and fry the Lobongo Lotika's till golden in colour. Dip in the sugar syrup for a couple of minutes. Drain and serve, hot or cld. 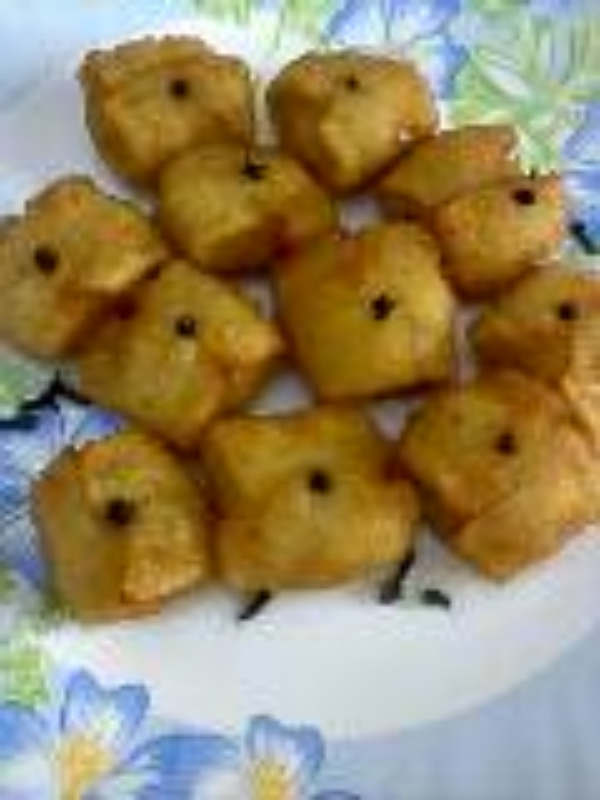 we also made it through different style.It must be fry in slow to medium flame.Try it & enjoy the sweets lavang latika.